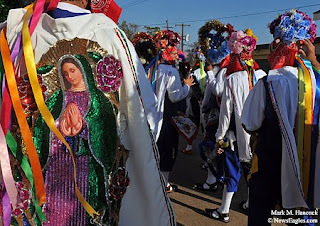 Members of the St. Cecilia Matachines Group prepare before a ground breaking ceremony at St. Cecilia church in Dallas on Sunday, Nov. 22, 2009. 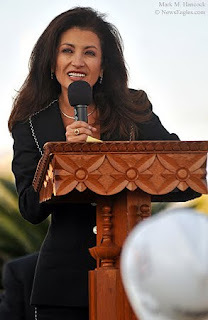 Elba Garcia, chair of the capital campaign committee and Dallas mayor pro tem, addresses attendees during a ground breaking ceremony at St. Cecilia church. The church was destroyed by a fire on Aug. 17, 2007. 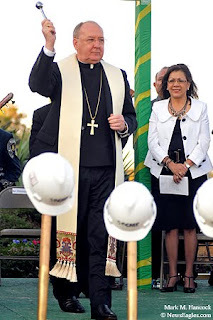 Bishop Kevin J. Farrell (left) blesses the ground during a ground breaking ceremony at St. Cecilia church. The site of the old church will become a prayer garden while the new church will be in a different location in the $7 million project. 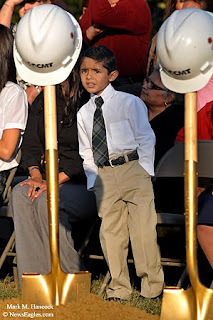 St. Cecilia 1st-grader Diego Cazares, 6, is anxious to participate during a ground breaking ceremony at St. Cecilia church in Dallas. 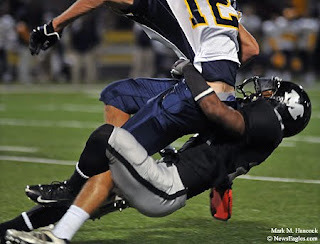 Irving MacArthur's Daniel Vinson (27) prepares to sack unaware Plano East quarterback Ryan Foster (6) during a high school playoff football game at Standridge Stadium in Carrollton on Saturday, Nov. 14, 2009. 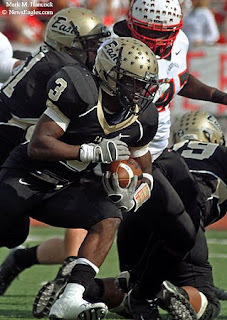 Plano East's D'Lyle Washington (3) advances the ball against Irving MacArthur during a playoff football game in Carrollton. 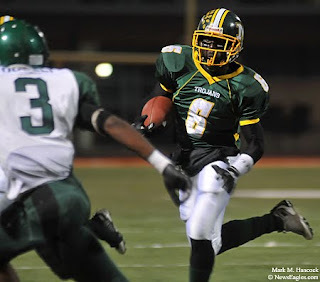 Irving MacArthur's James Sims (5) blocks for quarterback Jason Frimpong (3) during a playoff football game against Plano East at Standridge Stadium. 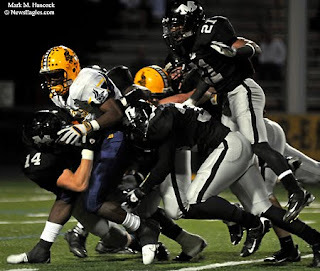 Plano East's Brandon Lewis (27) runs past teammate Michael Osinloye (21) during a playoff football game against Irving MacArthur. 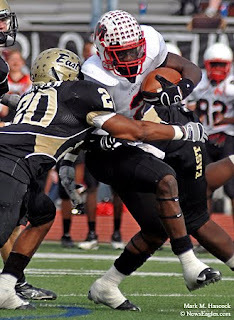 Plano East's Sam Trotter (20) tackles Irving MacArthur's Johnny Haynes (2) during a playoff football game in Carrollton. 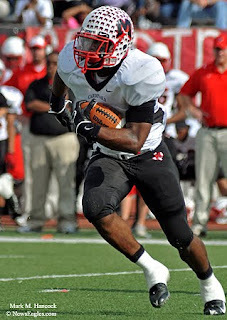 Irving MacArthur's James Sims runs with the ball during a playoff football game against Plano East at Standridge Stadium. 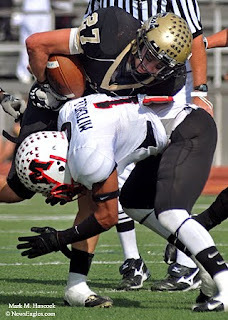 Plano East's Brandon Lewis (27) gets stopped by Irving MacArthur's Ray Mitchell (1) during a high school playoff football game at Standridge Stadium in Carrollton. 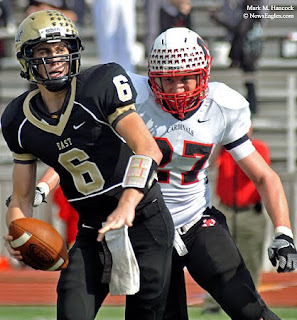 Plano East won 27-26 and advanced. Mavericks' Dirk Nowitzki (41) moves around Sacramento's Andres Nocioni (5) during an NBA basketball game at American Airlines Center on Friday, Nov. 20, 2009. 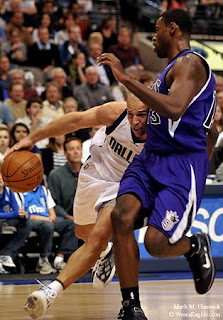 Mavericks' Jason Kidd (2) tries to move past Sacramento's Tyreke Evans (13) during a basketball game at American Airlines Center. 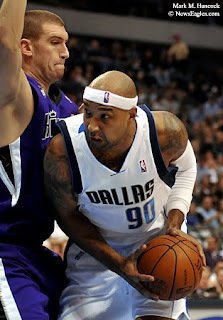 Mavericks' Drew Gooden (90) tries to get past Sacramento's Spencer Hawes (31) during a basketball game at American Airlines Center. Mavericks' Dirk Nowitzki (41) gets fouled at the net by Sacramento's Andres Nocioni (5) during an NBA basketball game at American Airlines Center. The Mavs won the game 104-102. 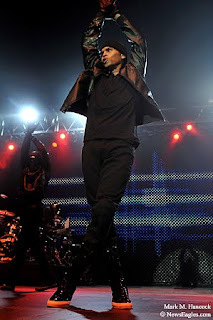 Chris Brown performs a concert of the Fan Appreciation Tour at The Palladium Ballroom in Dallas on Sunday, Nov. 15, 2009. 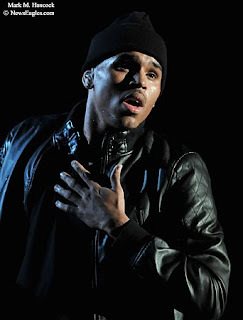 Chris Brown performs a concert of the small-venue "Fan Appreciation Tour" at The Palladium Ballroom. Brown is known for both his singing and dancing abilities. A year ago, he topped the charts and filled arenas. Chris Brown performs "I Can Transform Ya," from his forthcoming album Graffiti during a concert in Dallas. After a violent incident in February against then-girlfriend Rihanna, Brown pleaded guilty in June to felony assault. He was sentenced to probation and community service. Chris Brown performs a concert of the "Fan Appreciation Tour." Some ticket sales proceeds will go to the Best Buddies International and The Jenesse Center charities. 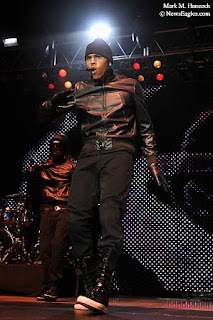 Chris Brown performs a concert of the "Fan Appreciation Tour" at The Palladium Ballroom in Dallas. There were plenty of screaming women at the concert to support Brown and start his career's recovery. 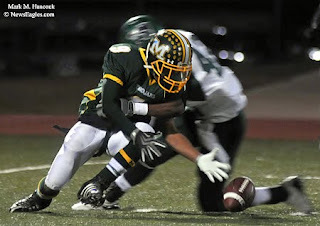 Madison's Brandon Willis (9) reaches for a dropped ball as he's hit by a Kennedale defender during a high school football playoff game in Lancaster on Friday, Nov. 13, 2009. Madison's Daveon Johnson (6) fends off Kennedale's Carlton Bryant (42) as Bo Burgess (40) recovers during a football playoff game. 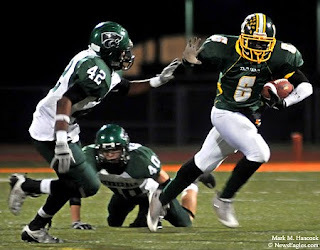 Madison's Daveon Johnson (6) moves to avoid Kennedale's Dashiell Mosely (3) during a football playoff game. 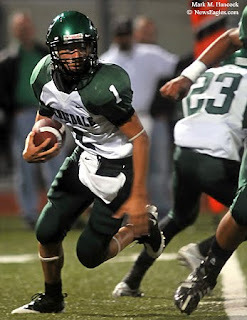 Kennedale quarterback Steven Rivera (1) keeps the ball during a football playoff game against Madison. 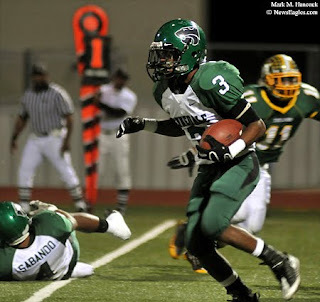 Kennedale's Dashiell Mosely (3) looks for an opening in Madison's defense during a football playoff game in Lancaster. 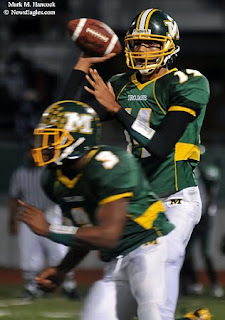 Madison quarterback Bryce Pearson (14) starts a pass as Riginald Peagram moves to block during a football playoff game against Kennedale. 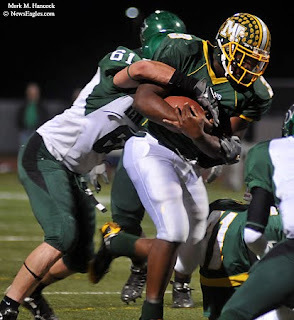 Kennedale's Evan Booher (61) gets a handle on Madison's Reginald Peagram (3) during a football playoff game in Lancaster. 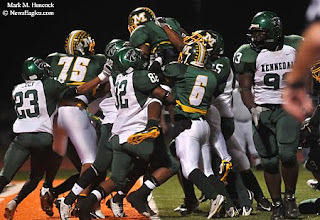 Madison's offensive line lifts Reginald Peagram (3) over the goal line as Kennedale's defense tries to block the score during a high school football playoff game in Lancaster. Kennedale won the game 24-17 and advanced. 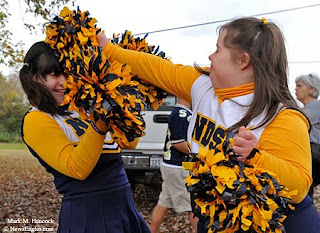 Notre Dame School of Dallas cheerleaders Chelsea Waits (left) and Georgi McNutt (right) play with pompoms before the 9th annual Buddy Walk at Flag Pole Hill Park on White Rock Lake in Dallas on Sunday, Nov. 8, 2009. The event benefits the Down Syndrome Guild of Dallas. 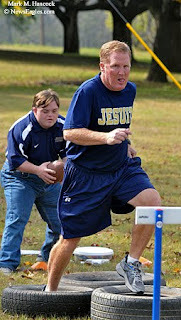 Jesuit High School head coach Bob Wunderlick (right) leads coach Luke O'Brien (left) through an obstacle course drill before the Buddy Walk at Flag Pole Hill Park in Dallas. 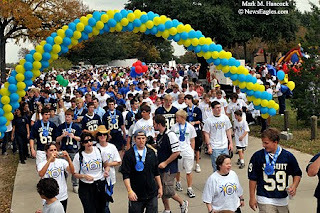 Participants leave the start line for a one-mile walk during the Buddy Walk at Flag Pole Hill Park on White Rock Lake. 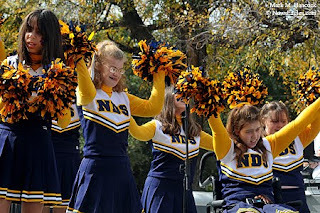 Notre Dame School of Dallas cheerleaders perform a cheer during the Buddy Walk at Flag Pole Hill Park. 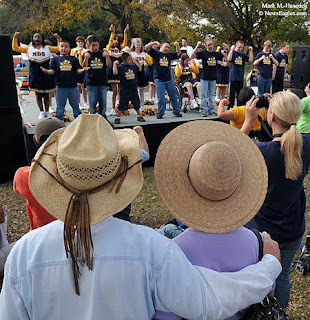 Frank and Charlotte Cherry watch proudly as the Notre Dame School of Dallas cheerleaders and sign language choir perform during the 9th annual Buddy Walk at Flag Pole Hill Park on White Rock Lake in Dallas. 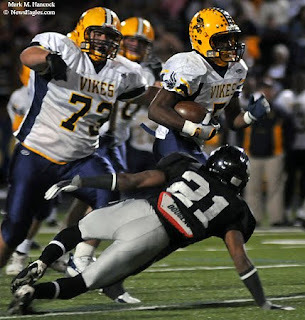 Arlington Lamar's Ja'Terrian Douglas (5) charges past the tackle attempt of Arlington Martin's Steven Caldwell (21) during a high school football game at Cravens Field in Arlington on Friday, Nov. 6, 2009. Arlington Martin's Jeff Jordan (24) sacks Arlington Lamar quarterback Tyler Wilson (1) as Ja'Terrian Douglas (5) approaches to help during a football game at Cravens Field. 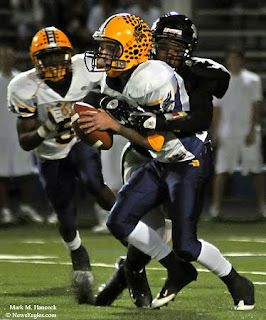 Arlington Lamar's Ja'Terrian Douglas (5) gets hit by a tsunami of Arlington Martin defensive players during a football game in Arlington. Arlington Martin's Danzel Williams (20) easily outpaces Arlington Lamar's Anthony Clay (90) on his way to the goal line during a football game in Arlington. 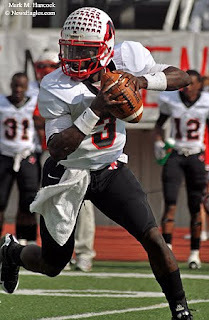 Arlington Martin's Desmond Randle (4) pulls in a touchdown pass during a football game against Arlington Lamar at Cravens Field. Arlington Martin's Steven Caldwell (21) wraps a leg around the leg of Arlington Lamar's Blake Mayberry (12) for a quick tackle during a high school football game at Cravens Field in Arlington. Red Cross phlebotomist Mary Williams (right) prepares to take a blood donation from Joshua Shuck of Flower Mound (left) at the American Red Cross Blood Donor Center in Farmers Branch on Thursday, Nov. 5, 2009. Area residents responded to a request for donors following the mass killings at Fort Hood earlier in the day. 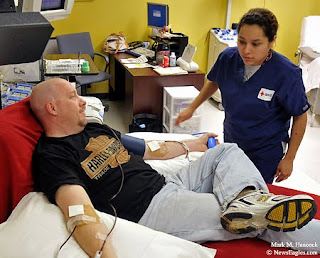 Red Cross phlebotomist Melissa Villarruel (right) checks on Bill Clements of Irving (left) as he donates blood platelets at the American Red Cross Blood Donor Center. 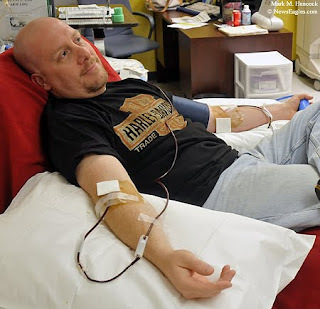 Clements began donating platelets regularly after the 2001 terrorist attacks. 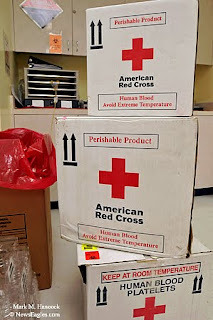 Boxes are prepared to rush donated blood to Fort Hood at the American Red Cross Blood Donor Center. 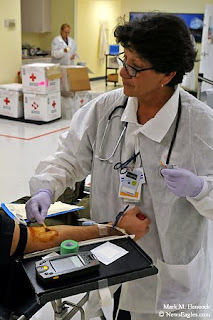 Processed blood was shipped immediately while the center requested donors to replenish supplies. 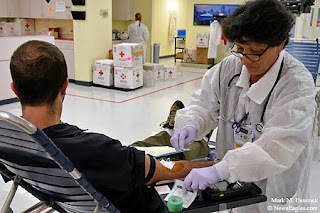 Red Cross phlebotomist Mary Williams (right) takes a blood donation from Joshua Shuck of Flower Mound (left) in Farmers Branch. Bill Clements of Irving donates blood platelets regularly at the American Red Cross Blood Donor Center in Farmers Branch. 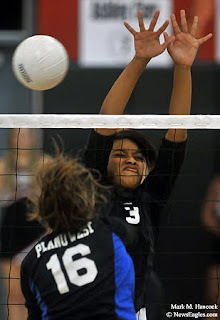 Plano West's Lauren McCormick (16) fires a shot past Irving MacArthur's Danielle Candelaria (3) during a playoff volleyball game at Creekview High School in Carrollton on Tuesday, Nov. 3, 2009. 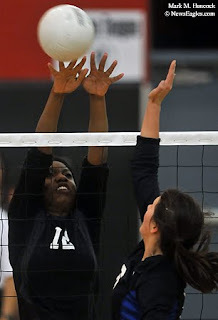 Irving MacArthur's Shataria Green (12) blocks the tip of Plano West's Erin McNorton (6) during a playoff volleyball game in Carrollton. 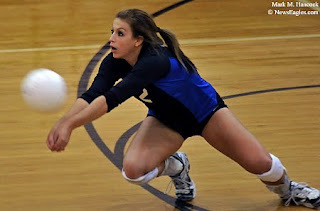 Plano West's Berkley Fuller (2) makes a dig during a playoff volleyball game against Irving MacArthur at Creekview High School in Carrollton. Plano West won the match and advanced. 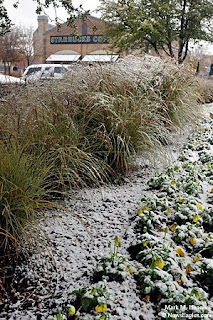 Today (technically yesterday) brought the first real snow I've seen since 2004. I didn't have time to work it, but I got a few shots on my way to the coffee shop. 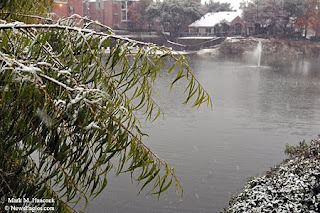 Snow falls into a private lake in Plano on Wednesday, Dec. 2, 2009. 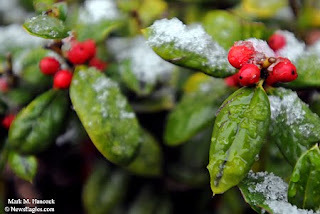 Holly berries hint at the season as snow falls. 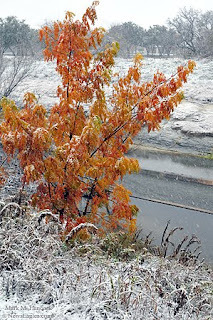 A tree displays its fall colors as snow falls. 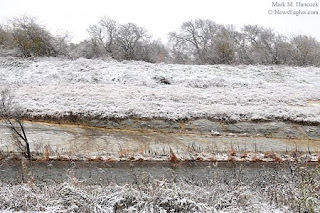 Snow falls into the creek along Lorimar Drive in Plano. 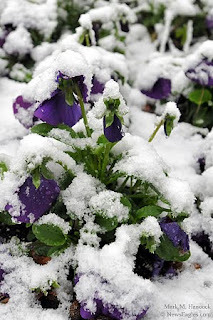 Pansies fight against the snow. An oasis of warmth and caffeine appears through the snow. 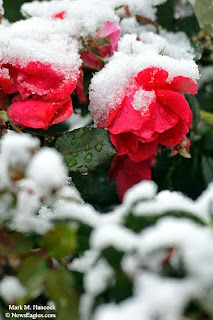 Roses support the snow in Plano. 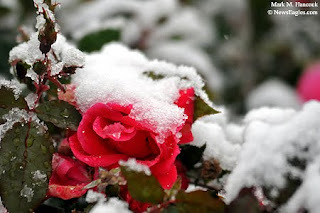 A rose bud is surrounded in snow in Plano.